This is another custom figure. 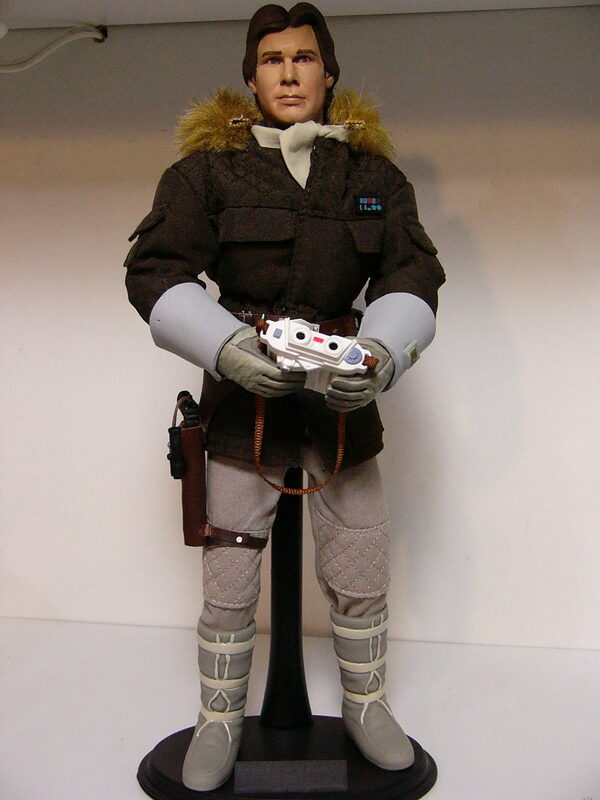 Just like my 1/6 ANH Han, this started as a Hasbro 12″ figure. I haven’t done as much to this one. 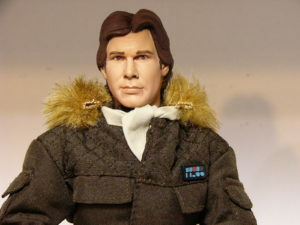 It’s a different body, and a repainted Sideshow Bespin Han Solo head (I got it on ebay already repainted). 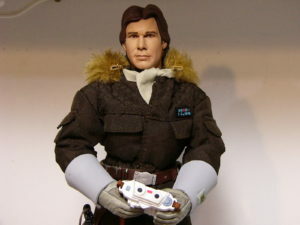 I added some Sideshow Hoth Han gloved hands, a sideshow scarf, and a sideshow holster rig and blaster. 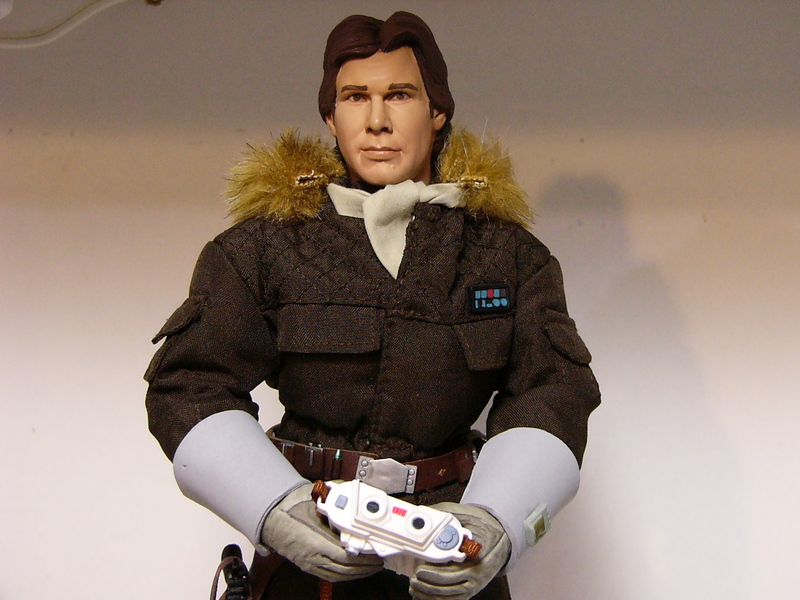 I modified the Hasbro coat to get rid of the weird cuffs on the sleeves, and made the gauntlets from fun foam to hide that the sleeves are too short (hasbro bodies are disproportionate).